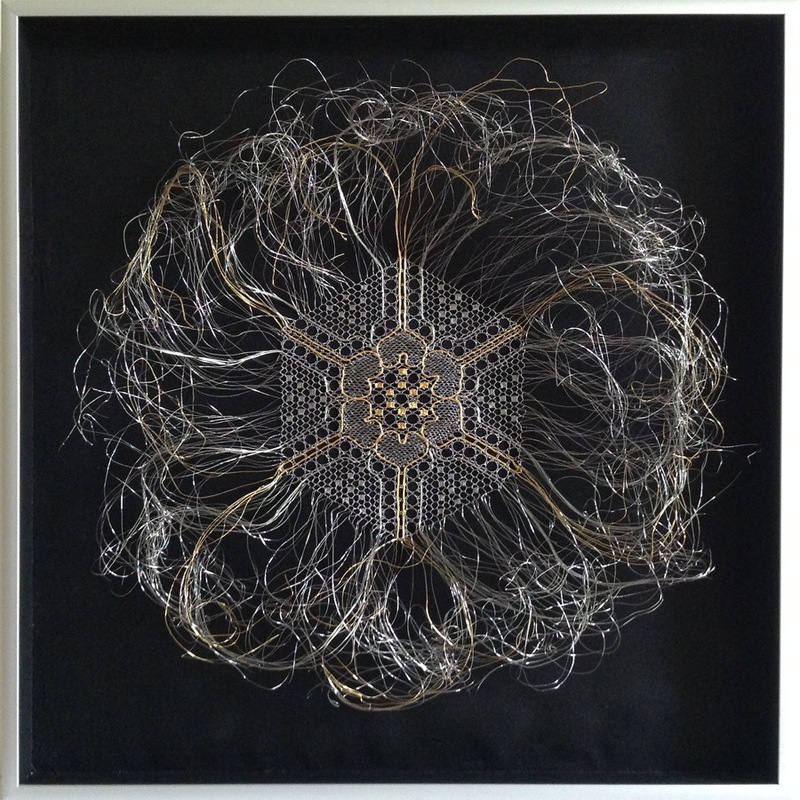 This wall piece was created in 2014 for an exhibition “Memory” curated by Dr. Joyce Taylor Dawson and Nancy Pye, as a part of an exhibit “Art of the Lacemaker (Revisited)” for the Guelph Civic Museum in Guelph, Ontario, Canada. 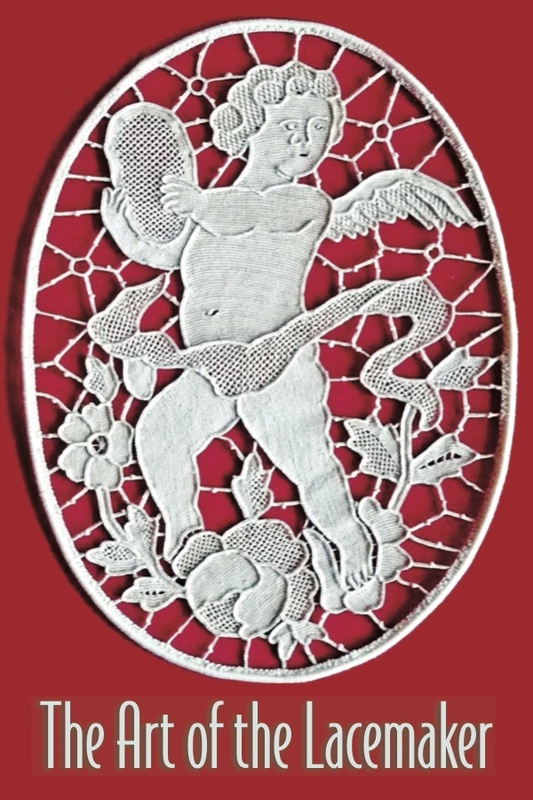 I like to participate in events where contemporary lace is exhibited along and exquisite antique lace and viewers can see the ancient and modern works in one room. 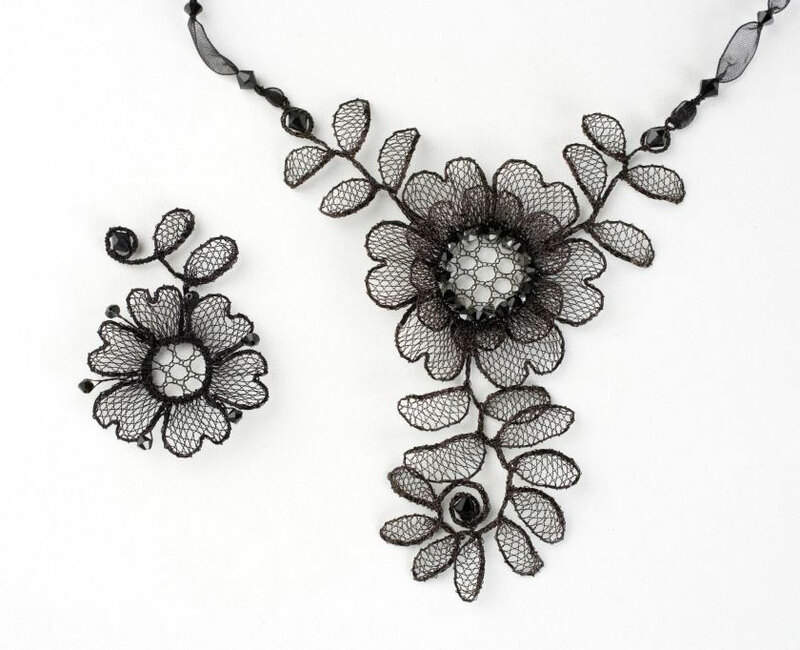 Historical artefacts help audience to understand the context of modern work and see it as a part of a continuous evolution of handmade lace. Exhibitions like this inspire me to create work that will expand the boundaries of traditional craft to reflect our times, our thoughts, our existence. Theme of “Memory” suited me well, because being rather abstract, allowed freedom of interpretation. The triptych is in private collection. 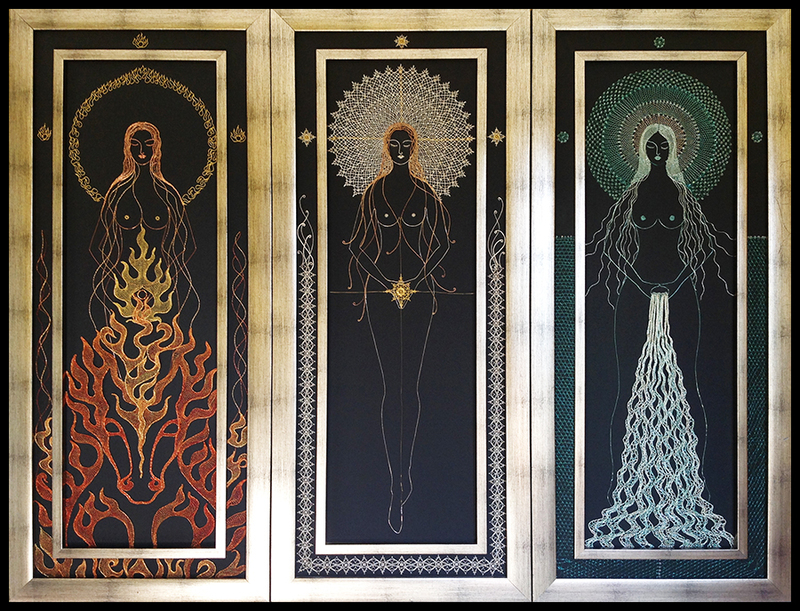 Venus Triptych attempts to portray manifestations of divine feminine love on Earth. The work was inspired by Venus Passage, a rare celestial alignment that blissfully happened in this lifetime and allowed us to contemplate the vastness of the universal harmony. The central part, Venus with a Star, reflects divine love which permeates the whole cosmos. The second part, Venus with Water, realizes love in its nourishing aspect, which sustains life and maintains balance on our planet. The third part, Venus with Fire, focuses on the purifying power of love, which makes spirituality possible for each of us. Of course, the theme proved to be too big a task for my artistic as well as technical skill. I had been repeatedly humbled by my inability to recreate in lace the vivid images I saw in my mind’s eye. I turned for inspiration and strength to the art masterpieces of the past – renaissance, romanticism and classicism. I kept trying, stretching my existing skills and searching for new. Lace supported my efforts well, confirming that there are no limitations to the technique other than lacemaker’s own. I grew as I reworked the pieces again and again. 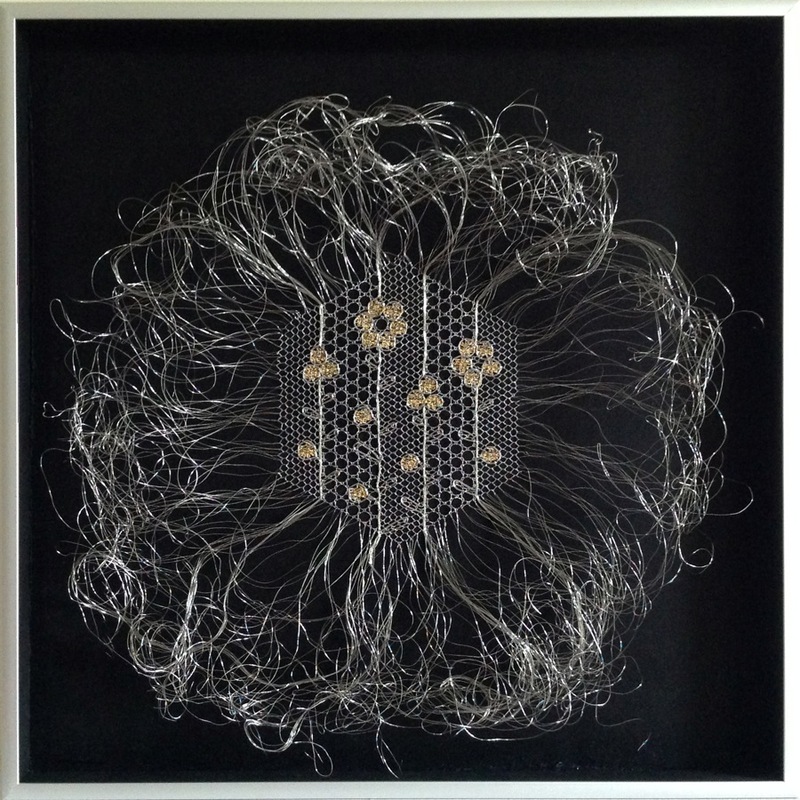 Finally, I learned to accept this work as a process without a formal end, and I am presenting the triptych as such. I gave it my best, and I always will. Love was a central theme to the Renaissance art, and became enshrined in timeless masterpieces that have inspired lovers and guided spiritual seekers ever since. Designs of plaited renaissance lace are based on sacred geometry and still cradle the original idea, the beginning of all laces. 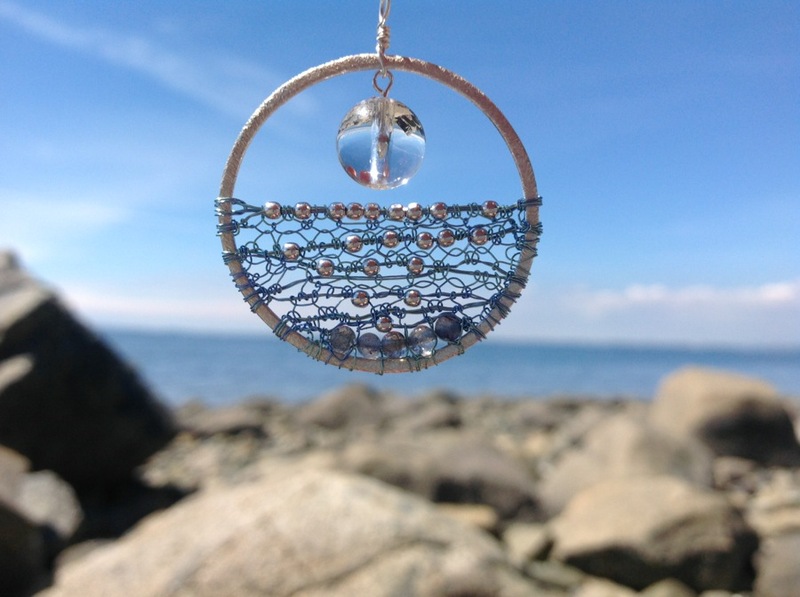 These patterns represent the first form that originated from the formless creative energy. In Venus’s elaborate aura they affirm the presence of expansive cosmic consciousness. Outline of a female body invokes the feminine principle, which receives the energy and gives it life. Focal point of the picture is the four-pointed star positioned conspicuously on mons Venus, which places love firmly on earth and in women’s womb. 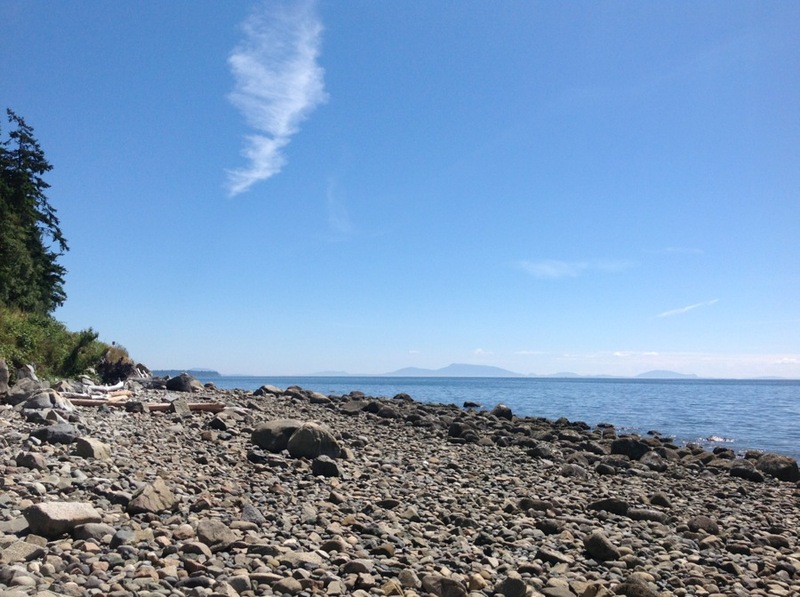 Contemplating love that cares, nourishes and protects naturally brought memories of my childhood into the picture. I grew up with folks who were capable of loving each other and their children, who sang and danced in joy as well as sadness, who did not loose their sense of humour even in the most trying circumstances. Their roots deeply in the earth, they used to worship nature as manifestation of the divine – hills, forests, soil, and most of all – water. Water springs, ponds, brooks and rivers were celebrated in sacred rituals, and eternalized in myths, tales and songs. Those inspired many artists, and the resulting culture flows like a mighty Vltava river throughout the people’s history. 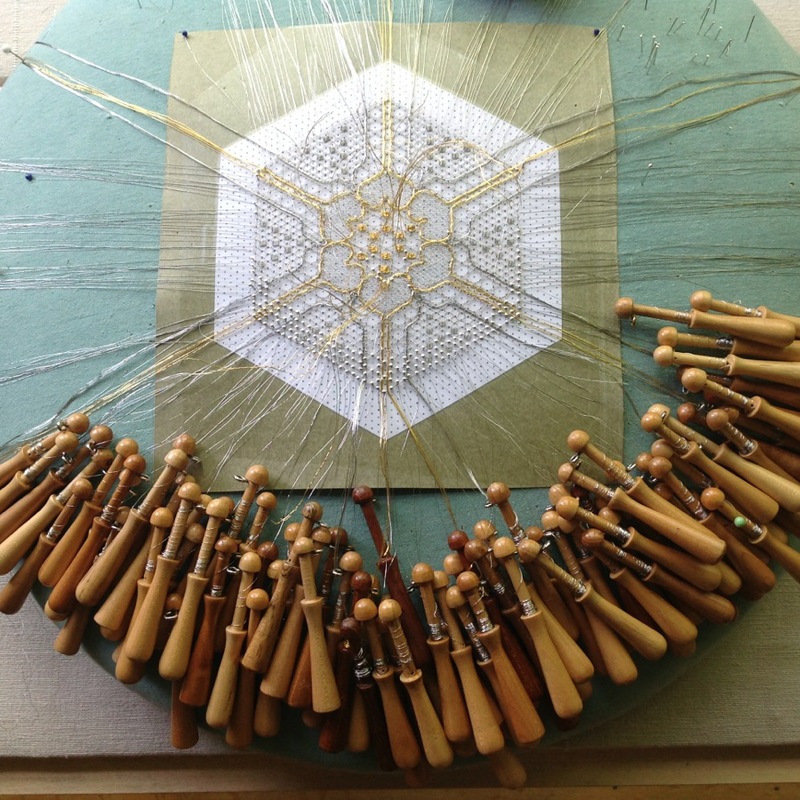 Melodies of a beloved symphonic poem of the same name, composed by Bedřich Smetana, were leading the dance of the bobbins on my lacemaking pillow and the lace poured in. Like a life-giving water that springs from the mons Venus, to nourish generations to come, like yin that in constantly changes and therefore defeats all obstacles, like love that is here now and forever. The most absorbing from the three, Venus with Fire, has taken me beyond all my limits. The fire captivated my senses and burned and melted rigid patterns and ideas one after another. Intense heat of the raw energy alternated regularly with feelings of loss and confusion. 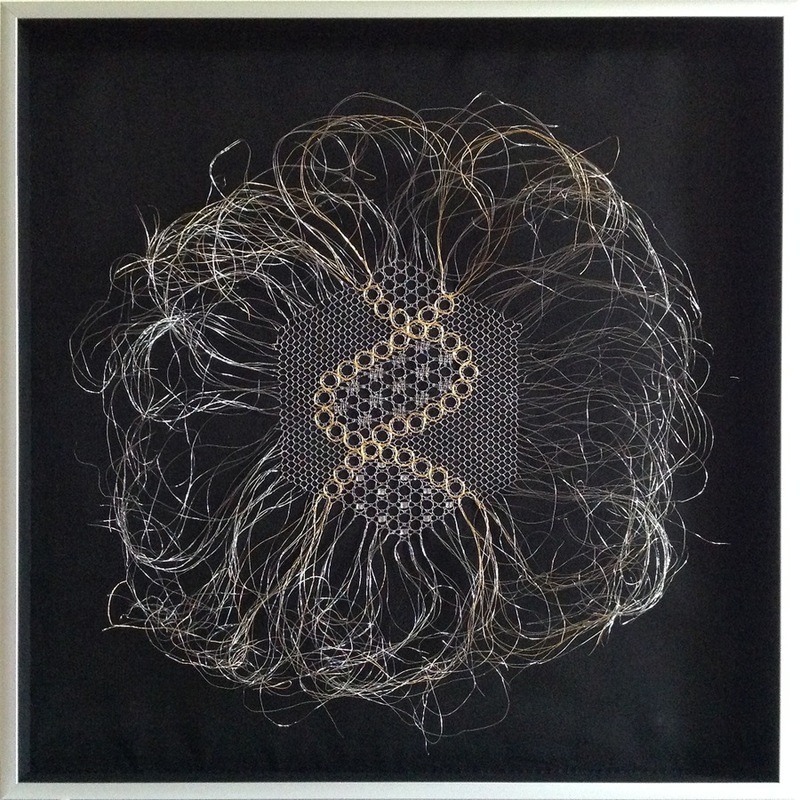 I was lucky to have a guide for the work right from its conception, and her help was vital. Brunhild, a valkyrie and a shieldmaiden, protected me and led me through. I have learned a lot about this goddess-warrior who, of her free will decided to save pure love in this world. Seeing that the strong rule of her father Wotan (Odin), and an innate wisdom of her mother Erda (Earth), were no longer in a harmonious relationship, Brunhild was intuitively drawn to love and its power to restore balance of the masculine and feminine elements. To understand human love she sacrificed her immortality and experienced the duality of life of as a mortal woman and lover. In an ultimate offering she united with her beloved eternally by jumping into his funeral pyre. Her sacrifice restored love on earth and in heavens. Remembered in the old myths, and illuminated in Richard Wagner’s musical drama The Ring of the Niebelung, Brunhild’s message today is as timely as it is timeless. Copyright©2014 Lenka Suchanek. All rigths reserved.